Support the cure by registering online for the run. 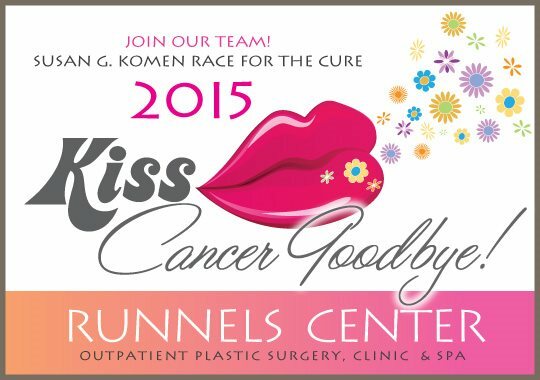 To run with the Runnels Team you may call our offices at (601) 939-9778 to reserve your T-shirt. We are proud to support the important work of the Susan B. Komen for the Cure organization. The Komen organization needs continuous funding to support such efforts. When you participate in the race and raise funds, we fight these statistics together. In 1980, the five-year relative survival rate for women diagnosed with early stage breast cancer (cancer confined to the breast) was about 74 percent. Today, that number is 99 percent! Komen has played a critical role in every major advance in the fight against breast cancer - transforming how the world talks about and treats this disease and helping to turn millions of breast cancer patients into breast cancer survivors. Through events such as the Race for the Cure, the organization helps save lives. Please join our team and Race for the Cure.